5 Friends = 50% Off over US$50 order is our way of rewarding you for spreading the word about PPZ. If you have no less than 5 friends sign in PPZ through their facebook accounts, then you will receive a 50% discount for your next US$50+ order. We would give you a link to invite your friends or you could share it on your social network, your friend will come to PPZ via the link we provided. How to get the link we provided? Make sure you're logged in PPZ, click “INVITE FRIENDS” from your PPZ account to get the link to invite your friends or share it on your social network. The friends you have successfully invited will be shown in inviting status on your PPZ account. If there are over 5 of your friends join PPZ through the link you shared, you will receive a 50% off coupon code over US$50 order. The 50% OFF coupon code you've got will be sent to you by E-mail and please pay attention to check your own E-mail you registered on PPZ. 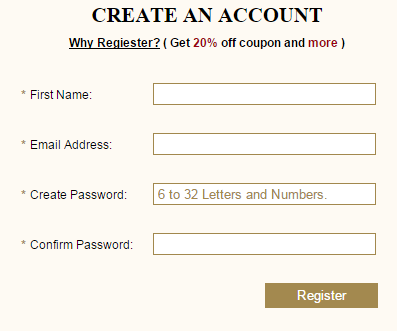 If you are having trouble locating your coupon code, try checking your spam box or your Facebook email address. If you’re still having trouble, you can contact our Support Team help@ppz.com.